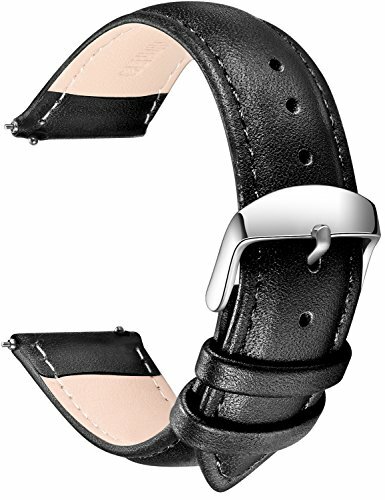 Its all in the wristour handsome leather watch strap fits any case with 24mm lugs. 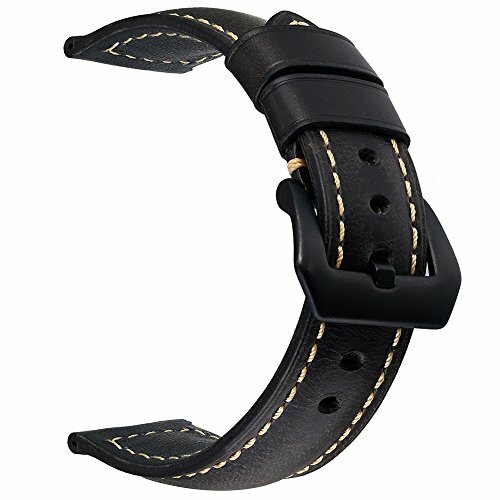 Product description Specification: • Band Material: High performance woven nylon with leather • Band width:24 mm • Long side Length: 137MM • Short side Length (including buckle): 106mm • Available Length: Large Size: Fits (6.1''-8.6'')155-220 mm wrist. 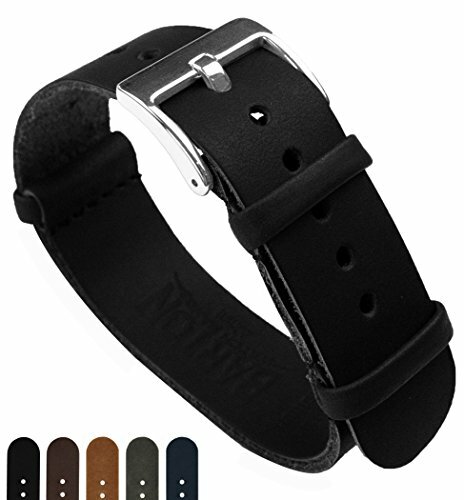 •Package Contents: 1* watch band with metal buckle + 3* Pins + 1* remove tool. (In OTOPO retail package) Note: The color of the wristwatch band may vary slightly due to photography and your own computer. --The nylon band may be feeling stiff when first used. Bend it forth and back for several times or wear it for a few days, it will become quite soft and comfortable to wear. 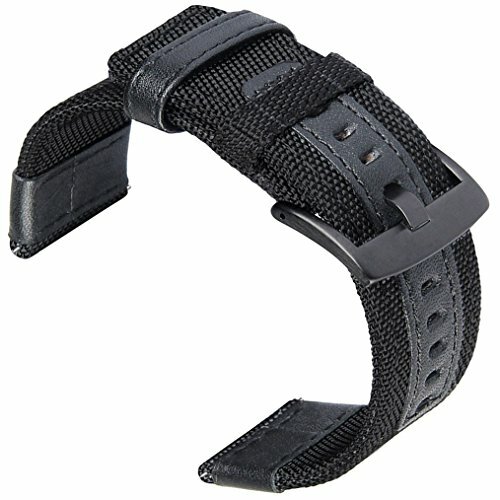 -- Please DO NOT wear this watch band for longtime underwater activities - such as shower, swimming, ect. 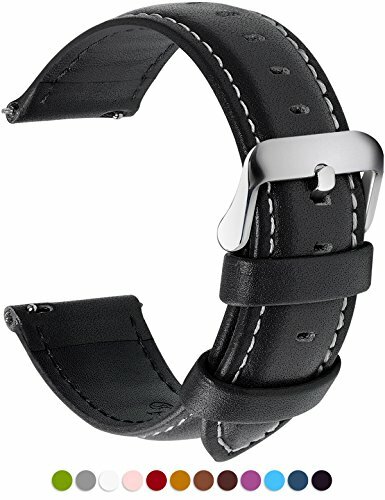 A few common compatible smart watch widths: 24 mm width: • Sony Smartwatch 2 SW2 • Suunto TRAVERSE • other watches with 24mm lug, like Panerai, Tissot, Citizen, etc. Worry-Free Warranty: Lifetime Warranty, we are happy to send out a replacement band if your band has any quality issues, please kindly let us know in anytime we will reply within 12 hours. If you have any questions or suggestions, you can always send us an email. 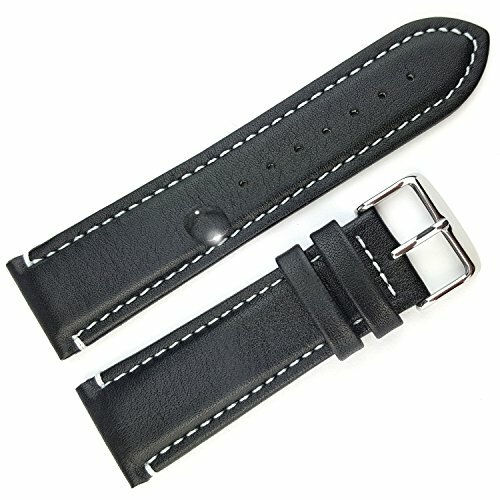 24mm Genuine Black Leather Bands, Waterproof Watch Straps With Elegant White Stitching. 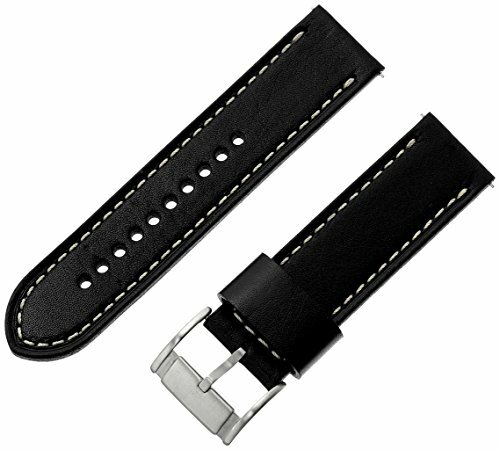 The DURA STRAPS leather watch band is hand crafted, You'll be 100% satisfied with our genuine leather watch bands with elegant stitching. It's premium quality, soft and feels luxurious. Made with your active lifestyle in mind, these watch straps are built tough to withstand our busy lifestyles. Don't settle for cheaper imitation products that use bonded leather or PU leather which won't last. Buy a quality product that will last for years to come. We only use quality material. 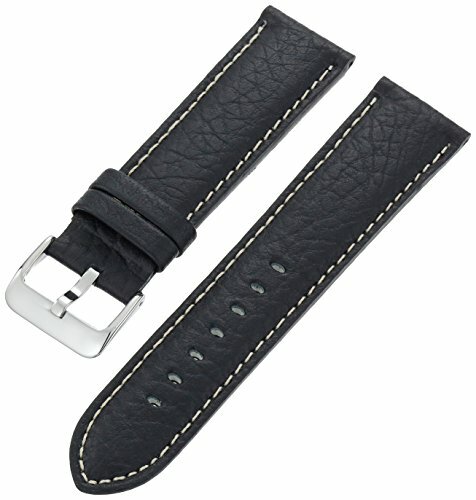 Leather Watch Strap Highlights: Premium cowhide leather is skin-friendly without Allergy concerns. Classic Business Casual Design. Combines quality, leading edge fashion. Stylish in Shape & Durable in Use. Made of 3 layers include surface leather, thickening shape layer and bottom layer; Leight weight, yet sturdy; Uniform stitching color with the band makes it feel more elegant. 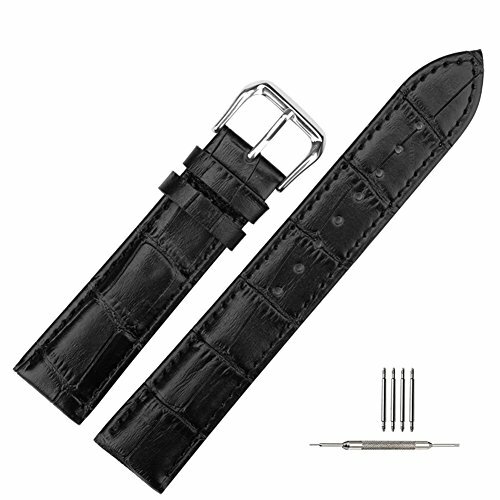 Great replacements for the original watch band as a Spare, or as a Gift Specification: Band Material: genuine cowhide leather Band Color: black/brown/deep brown Band width: 16mm/18mm/20mm/22mm/24mm Package includes: 1xWatch Strap + 1xSpring Bar Tool + 3xSpring Bars Please DO NOT wear this watch band for longtime underwater activities - such as shower, swimming, ect. 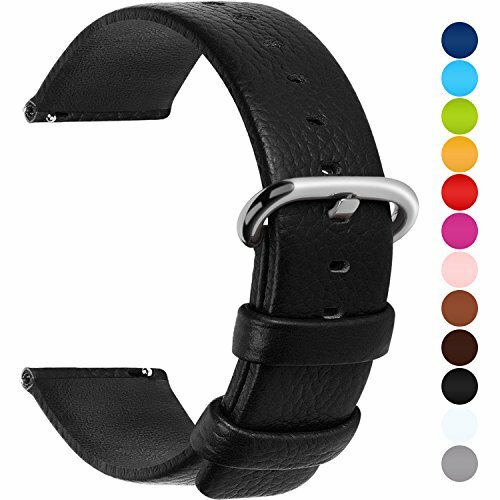 Compare prices on 24 Mm Watch Strap Leather Black at ShoppinGent.com – use promo codes and coupons for best offers and deals. Start smart buying with ShoppinGent.com right now and choose your golden price on every purchase.